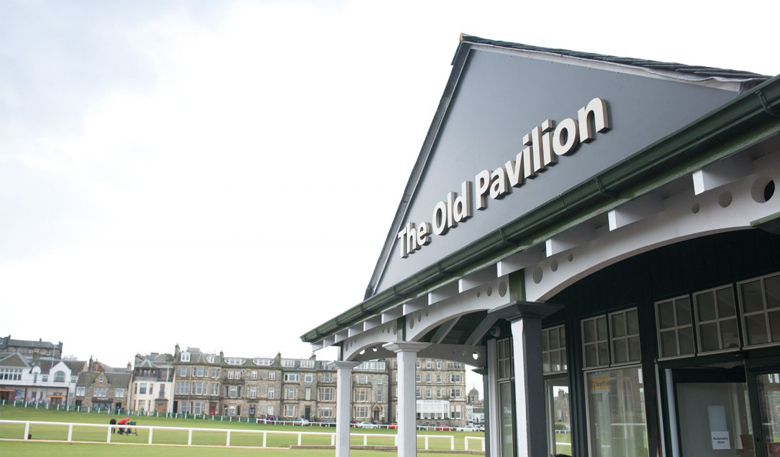 Take a look inside the Old Pavilion and explore the facilities now available for golfers playing the Old Course. 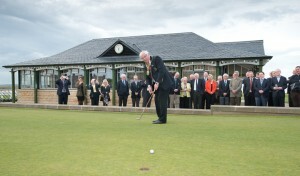 Last month saw the grand opening of our new facility here at the Home of Golf, The Old Pavilion. 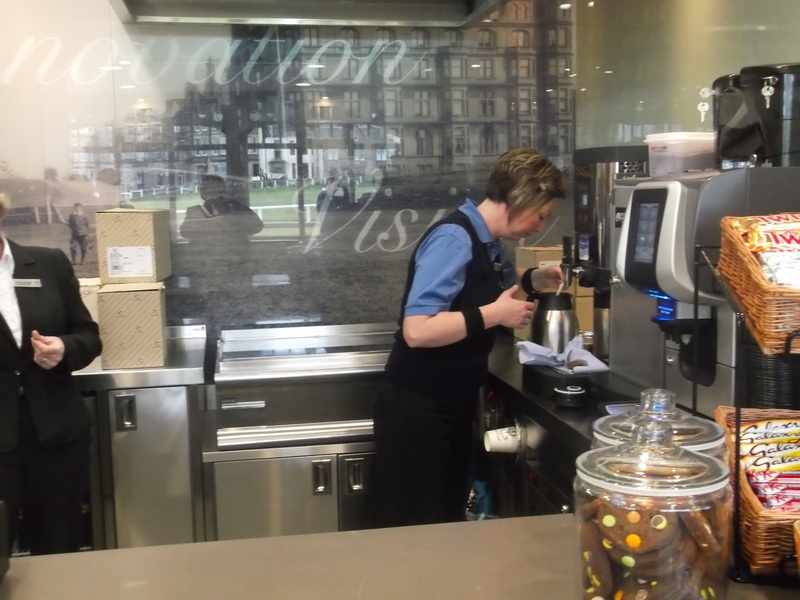 In this blog we take a look inside for the first time and get behind the scenes access with our Food & Beverage team who delivered a fantastic launch event. Preparations for the evening got under way with Aiden delivering essential supplies from the Links Clubhouse in his delivery buggy. Our skilled Head Chef Sharon prepared a colourful selection of canapés ready for our guests. We all know canapés must be accompanied by drinks so Dorothy and Andrew made short work of providing a selection of our delicious house wines to our guests. 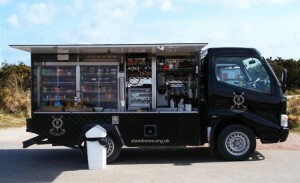 And for those wanting a ‘cuppa’ instead Sally prepares hot drinks. Aiden passed out drinks while admiring the view from his new ‘office’. 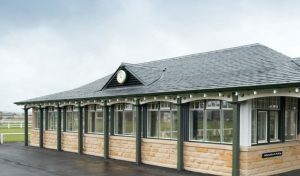 The Old Pavilion opened in May and aims to improve the experience of every golfer playing the world famous Links here at the Home of Golf. Words by Margaret Collins, F&B Department.